I was introduced to the poetry of Octavio Paz in the mid-90s around the same time that I first read Pablo Neruda and so, though their poetry is very different, I hold his poems also in the same vaunted position that I hold Neruda's poems. Both are in the Spanish and both made me wonder how good they must be in the original if I can enjoy them so much even in translation. 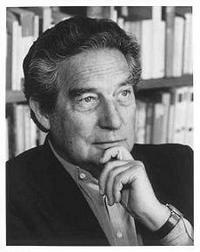 I blogged about Octavio Paz during the 2011 NPM celebrations and while I am tempted to just recirculate the 5 oems I posted then, that is not fair....so, here then are a few poems by him. 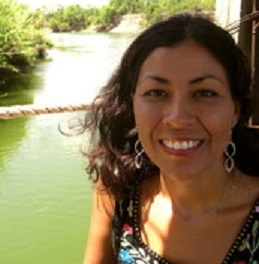 The challenge, as always, is how to pick 3-5 poems to represent a life-long of poetry. Like the Nobel Prize committee member said, in giving him the Literature Prize in 1990, "it is like trying to press a continent into a walnut shell." "It has been my task to give a picture of your writing in a few minutes. It is like trying to press a continent into a walnut shell - a feat for which the language of criticism is poorly equipped. This is, however, what you have managed to do, again and again, in poems which have, quite rightly, an improbably high specific gravity." Anyways, here are 3 random poems by the great Mexican writer, poet, and diplomat. the love unseen and the love unheard and the love unsaid: the love in love. Sunstone (Piedra de sol) ... an excerpt. by Octavio Paz I search without finding, I write alone,there's no one here, and the day falls,the year falls, I fall with the moment,I fall to the depths, invisible pathover mirrors repeating my shattered image,I walk through the days, the trampled moments,I walk through all the thoughts of my shadow,I walk through my shadow in search of a moment,I search for an instant alive as a bird,for the sun of five in the afternoontempered by walls of porous stone:the hour ripened its cluster of grapes,and bursting, girls spilled out from the fruit,scattering in the cobblestone patios of the school,one was tall as autumn and walkedthrough the arcades enveloped in light,and space encircled, dressed her in a skineven more golden and transparent,tiger the color of light, brown deeron the outskirts of night, girl glimpsedleaning over green balconies of rain,adolescent incalculable face,I've forgotten your name, Melusina,Laura, Isabel, Persephone, Mary,your face is all the faces and none,you are all the hours and none,you're a tree and a cloud, all the birdsand a single star, the edge of the swordand the executioner's bowl of blood,the ivy that creeps, envelops, uprootsthe soul, and severs it from itself . . . Bit by bit the day burns outover the erasing landscapeyour shadow is a land of birdsthe sun scatters with a wave. I will leave you with his interview with the Paris Review and this short but lovely Nobel banquet speech celebrating life, nature, and all the lovely things on earth! a cricket: brace and bit. Stars, hills, clouds, trees, birds, crickets, men: each has its world, each is a world, and yet all of these worlds correspond. We can only defend life if we experience a revival of this feeling of solidarity with nature. It is not impossible: fraternity is a word that belongs to the traditions of Liberalism and Socialism, of science and religion.